Finding Nemo is the movie that mainly led people to have their own aquariums at home. 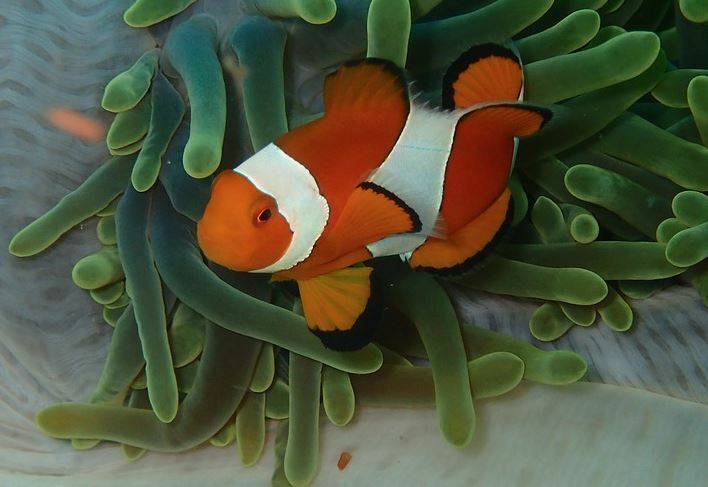 This Nemo was an ocellaris clown fish which has become a common pet fish preferred by many households today. Clown Fish are saltwater fish. Below are a few hints of taking care of these beautiful fish that you should use on a regular basis. •	These clown fish are typically marine fish and thus they thrive in salty waters. One should, therefore, provide a salty water environment so that the fish can thrive well. These fish is quite easy to keep as long as you maintain a specific salt level. They do not require too many fancy equipment so that they live well. •	They are very beautiful fish and come in different patterns which include; white orange, the Davinci clown which has black patches, the naked ocellaris which is purely orange and the black ocellaris. They do well in the wild and thus they are a hardy fish meaning; they can adapt to different environments. Over the years they have adapted to being breed by humans and have come to become such worthy pets. •	For a full grown adult, it tends to grow to about 3 inches long. So for a pair of clown fish, it would be necessary to have a tank that contains about 20 gallons of water. It should also be noted that these fish act aggressively when they are more than a pair in the same tank. •	These fish are not picky about decor as they move about the water with gracefulness. One can add artificial ornaments or natural live rock to make the tank have a more natural look. The fish will not mind at all. •	One should also ensure they maintain the required water parameters for the clown fish. These parameters include; temperatures of about 76 to 78 degrees Fahrenheit and with a salinity of 1.020-1.026sg. The standard pH should be kept between 8.1-8.4. •	As these fish are omnivorous, they can eat anything you give them from marine formulae, flakes, and pellets to frozen meaty foods. You can opt to feed the fish once per day or break the feeding cycle into two smaller parts spread throughout the day. •	These fish also tend to be very sensitive to nitrates, the level should be maintained at 20ppm or less. To do this one can implement the usage of a filter that filters out the nitrates.